One of the best love stories ever told, Titanic, the movie completes 20 memorable years in November 2017. The movie inspired a whole lot of merchandise and products post its release, apart from being a platform that made Kate Winslet and Leonardo DiCaprio the stars they are today! Bally Technologies, the developers of the off-line and online casino games also created a physical slot machine themed around the movie; and then released its online version in April 2016. Lets learn more about it below. 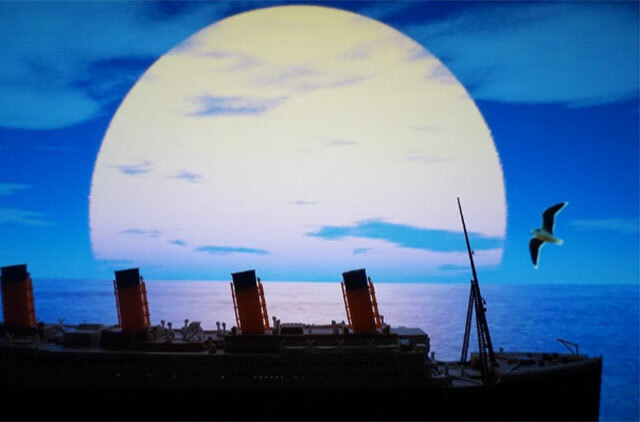 You can buy 3 kinds of tickets to play the Titanic online slots. While the first-class ticket brings all the jackpots and bonus games within your reach, the second-class ticket allows you to play all the bonus games and jackpots except the top one. The third ticket makes it possible for you to launch various bonuses, but keeps the mystery jackpot and top jackpot out of reach. You captain the ship and get to win some awesome prizes! The wheel feature gets activated as soon as you get 3 ship double wilds, 3 ship wilds or 3 ships on 5, 3 and 1 reels of the slot game. You then click the wheel and start the bonus game. In the event that its pointer stops at the cash prize, you win money and a chance to spin the wheel once again. The Pick-up Bonus allows you to increase your winnings by picking the right symbols. You bag a handsome prize and move on to the next level if your selected symbol reveals a cash value. In case a multiplier gets revealed, its applied to all your wins and the bonus game ends. Theres another bonus game called Playing Safe wherein you must pick 1 out of the provided 10 safes. Every safe consists of a certain prize. Youre taken to another screen after youve bagged your winnings from the safe. On the next screen, you must select either of the available objects to unlock a multiplier. The game ends after the multiplier is applied to your winnings. Heart of the Ocean and Make It Count are the other two important bonus games with huge winning potentials. You may be in for a pleasant surprise in the form of mystery features, after every round of spin. For instance, bagging the Double Wilds may place anywhere up to 5 wilds across the screen. Any prizes won from combinations using the symbols would be doubled. Apart from that there are Mystery Wild Reels and the Jack Drawing features. Love is eternal and it holds the promise to win you the biggest prize in Titanic online slot! You stand to win 100,000 times your total bet amount, as a top jackpot, in case you match 5 JackRose Double Wild, JackRose Wild or JackRose scatters anywhere on the screen.